Understanding hops is no easy task. There is a lot of "science" that goes into the hops that makeup your beer. Having general knowledge of alpha and beta acids is critical to perfecting the balance of your brew. 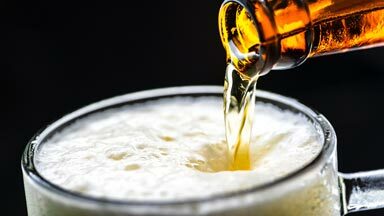 Alpha acids and beta acids are the dominant factor that gives your beer its bitter flavor. Below we will discuss how to perfect the balancing act of alpha and beta acids. Humulone is the predominant alpha acid that is found in most hops. A majority of the bitter flavor in beer comes from humulone. Humulone alpha acids carry anti-cancer, antioxidant and anti-bacterial properties as well as ward off diseases such as bronchitis and pneumonia. So next time someone comments on your drinking, just tell them you're looking out for health! Cohumulone is responsible for the heavy bitter taste found in most beers. It wasn't until recent that hops producers believed cohumulone had a negative effect on the taste of beer. However, studies have shown that cohumulone actually helps to even out the bitterness for a smooth, desireable taste (commonly found in lower percentage beers). There is not a lot of information on the effects these remaining alpha acids have on hops. Adhumulone, posthumulone and prehumulone are essential to the makeup of hops however, they pale in comparison to what humulone and cohumulone bring to the table. Beta acids are the secondary type of acid that makeup hops. Beta acids consist of 3 primary types that break down over time. Beta acids break down over time whereas alpha acids dissolve immediately. A beers profile can change when it's lagered or aged and this is directly related to the time it takes for beta acids to break down. Understanding how to balance hops with alpha and beta acids is not any easy process to understand. This brief rundown however gives you an elementary look into why they are so important to the hops and brewing process. 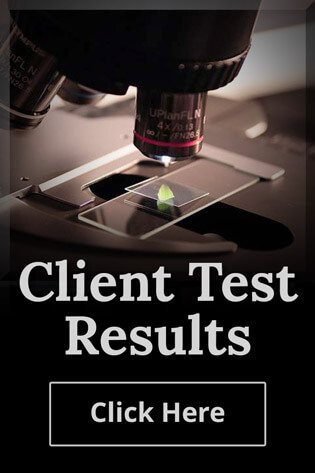 Alliance Analytical Laboratories is a hops testing lab near Grand Rapids located in Coopersville, MI. If you are interested in our Grand Rapids hops testing, contact us here or call our laboratory directly at (616) 837-7670.